The hysterosalpingogram study, generally, only takes about five minutes to perform in our Allen, TX, fertility clinic. A dye (contrast material) flows through a thin tube into the uterus, then into the adjacent fallopian tubes. Pictures are taken using fluoroscopy as the dye spreads. 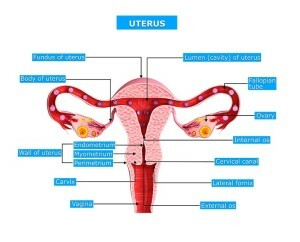 The images can show problems such as an injury or abnormal structure of the uterus or fallopian tubes, or a blockage that would prevent an egg moving through a fallopian tube to the uterus. A blockage also could prevent sperm from moving into a fallopian tube to fertilize an egg. An HSG fertility test can also spot problems that prevent a fertilized egg from attaching (implanting) to the uterine wall. This test should be done a few days after your menstrual period to be sure that you’re not pregnant at the time. It should also be done before the subsequent month’s ovulation period (unless contraception is involved) to avoid being exposed to radiation during an early pregnancy. For more information about fertility testing and Hysterosalpingogram, contact our Allen fertility clinic online or call 469-854-0305.